If you've ever met Carolyn you know she's not only a wealth of information, technique, and style, but she's also a genuinely kind and gentle human. She's a patient teacher whose passion for sharing her knowledge is obvious when you're taking a class with her. And we know this first hand, because we've been students in her classes -- Carolyn taught Ivete how to needle turn applique! 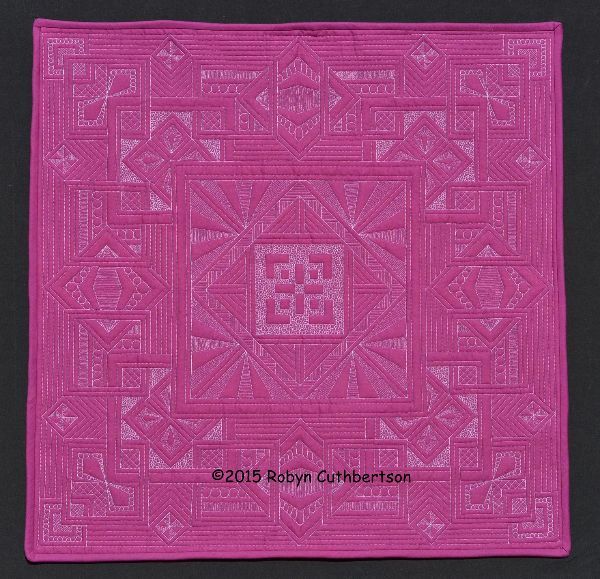 Using Carolyn's Russell quilt pattern, explore color and fabric strategy with Carolyn in this full day workshop. Carolyn will walk students through these design possibilities while also covering precision techniques in paper piecing such as fussy cutting and working with directional fabrics. Starting this week, we're announcing a new BIG teacher each week for 5 weeks! 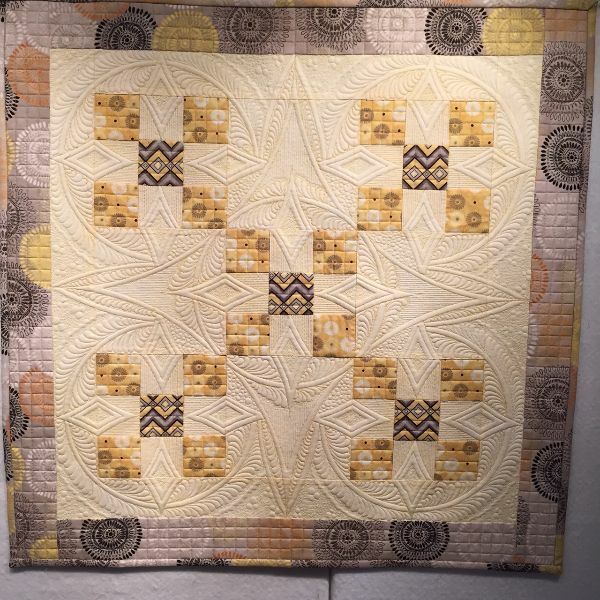 We're hosting Lisa Calle next week to teach us all about quilting on our home machines! Mastering the Mini is Lisa's wholecloth quilt design class! Starting next week, we're announcing a new BIG teacher each week for 5 weeks! Who do you think the first one is? People are guessing on our Facebook page but so far, no one has guessed right... stay tuned for the first reveal NEXT WEEK! The newest cat collection to arrive has us all repeating "aww!" multiple times a day! Riley Blake's new Meow and Forever fabric collection has everything you want in a cat group: great art, a mix of scales, and usable colors. Check out the prints in this 21-piece collection! This newest quilters edition machine features the new larger bobbin, an automatic thread cutter, and a compact size that's great for apartment living. Click here to find out more about the 475QE and come in to test drive our floor model today! You know how much we love cat fabric around here, right? Well the newest cat collection to arrive has us all repeating "aww!" multiple times a day! The main print is called Meow and Forever and comes in 3 colors. As you can see from the ruler, the scale is pretty small (each cat is about 1" wide and 1.5" tall). And those sardine cans are here again! This print's even smaller scale makes it a great blender. Do you see the kitty features in there? This is Ivete's favorite print in the group because of its whimsy and subtlety. Sneak this one into a project to add a little secret "I'm really into cats" touch! 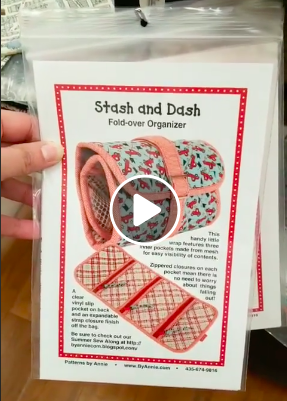 We're teaching everything from beginning quilting to advanced techniques like free motion quilting and foundation paper piecing. Come join Andrea, Nancy, Reyna, and our special guest teachers like Sarah Bond, Libs Elliott, and Lisa Calle to learn something new this fall! If you're not familiar with cut-n-sew panels, here's what the panel looks like when you buy it. It's 1 yard of fabric pre-printed with all the separate pieces needed to make the playset as well as full instructions. You'll cut out all the pieces and follow the instructions to sew them together into the dolls, their clothes, and the "babies." Everything is included except thread and stuffing. Cut-n-sew panels are a fast and easy way to make dolls, and you save money by not having to buy multiple different fabrics to make each individual piece. The words are pretty small on this one, only about 1/2" tall. And don't you love the little graphics separating the words, like candy canes and ornaments? Ivete's favorite from this group is the Santa Argyle print. Those little santas are so cute! Each measures approximately 1/2" wide. We'd love to see someone use this fabric as a backing on a Christmas quilt! Santas Village in Snow is another adorable option. This one lends itself well to fussy cutting as it has more negative space around each drawing. Wouldn't it be cute to use this one for some Christmas hexies? 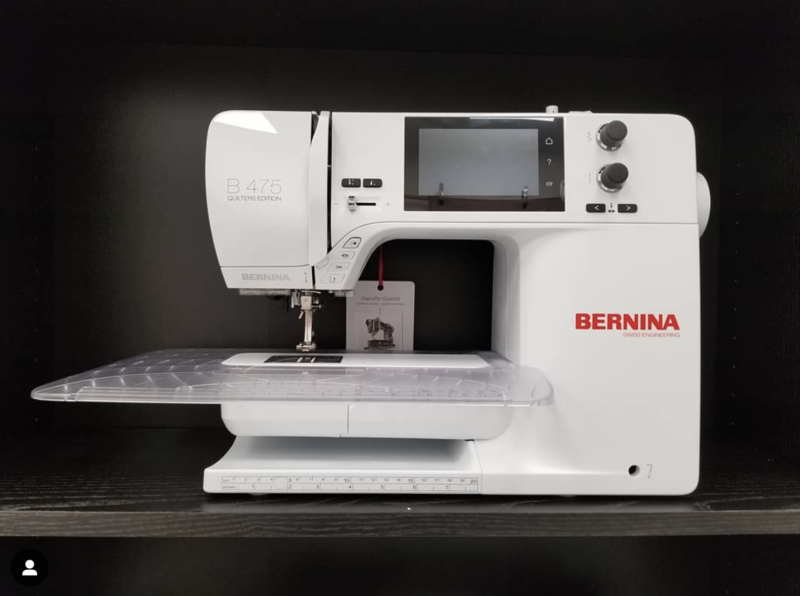 Get 25% off MSRP when you bring in a used sewing machine to "trade in" for your new BERNINA. 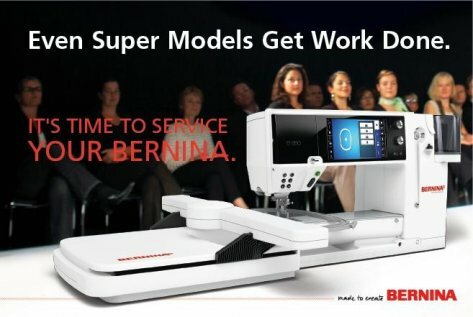 The used machine does NOT need to be a BERNINA -- any brand is eligible! Today we're releasing our fall class schedule. This is the most classes we have EVER offered, and we can't wait to show you the options! Do you see that grid-like pattern underneath her design? That comes from the way this fabric is woven. 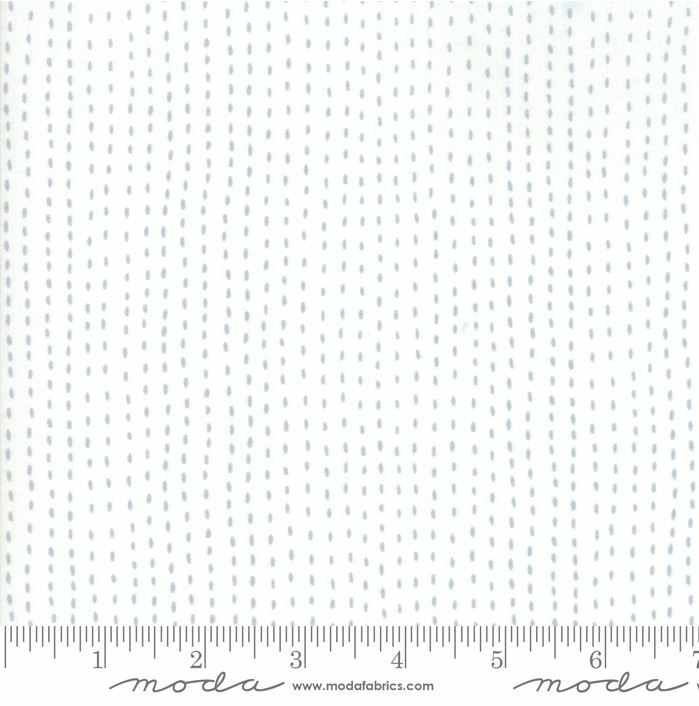 It's a 55% linen/45% cotton base cloth that uses different color threads for the weft and warp fabrics, creating a lovely texture. If you've worked with Essex Linen before you know how wonderful its drape is and how luxurious it feels to work with! One of our favorite simple garment patterns is the Grainline Studios Willow Tank. The pattern includes instructions for this easy-to-wear tank top as well as a dress version. Done in Polk, you'll have a classic, wearable basic that you're sure to reach for often. 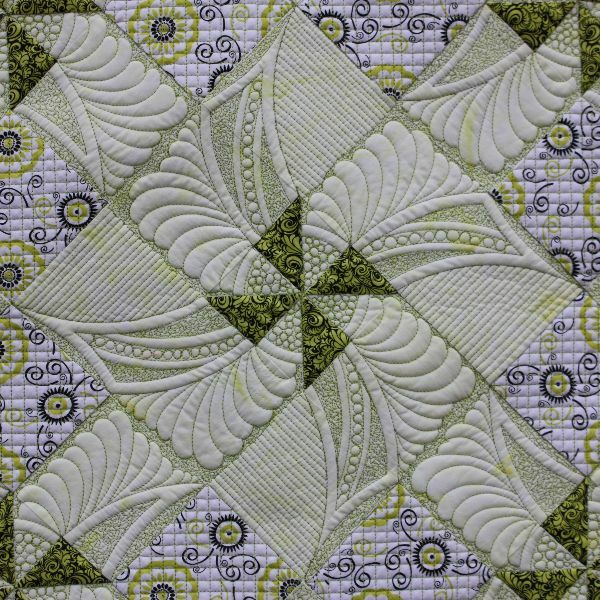 And we're in love with this new version of Carolyn's needle turn applique Park Quilt Pattern. The color combinations in this quilt are so surprising! We have full collection bundles available in fat quarter, half yard, or full yard amounts if you want to get all the prints. And of course we're also selling them individually by the yard. Campsite Fox is a fun new print featuring foxes doing various camping activities. These foxes are pretty large (some are as tall as 5"), which makes this fabric a fun graphic option. It would make a fabulous quilt back! Campsite Owls has adorable owls wearing hats and puffy vests! We love their expression. Each owl measures approximately 1.5" tall, making this a more subtle animal print. The last campsite animal print is the Campsite Beaver print. In terms of scale, this one falls between the previous two, with the beavers measuring approximately 3" tall. We especially love that some of them are wearing glasses! We're put all the Campsite Critters fabric together with two versatile blenders to create a 5-piece bundle. Choose from fat quarters, half yards, or full yards when ordering. Who do you know who'd dig receiving a quilt with a camping theme? Grazing Goats is one of Ivete's favorite prints at the moment. Each of those cute goats measures about 1/2", making this print pretty subtle and also perfect for fussy cutting into an English paper piecing project. Tiny Dino is a fabric we've had before and it flew right off the shelves. Each of these dinosaurs is TINY (approx 1/2" long), and when you combine that with the muted color palette, you get a surprisingly versatile dinosaur fabric. We're betting no one has ever said "surprisingly versatile dinosaur fabric" ever before! The new Ahoy fabric collection brings the beach to you! The new Ahoy fabric collection by Gingiber for Moda Fabrics is here, and it's the perfect cute summery group! The turtles have a green shell and grey body on a blue background. We like how they face in all different directions, making this fabric easy to use without having to worry about directionality! Each turtle is only about 1.5" long. The Crabs print is Ivete's favorite. 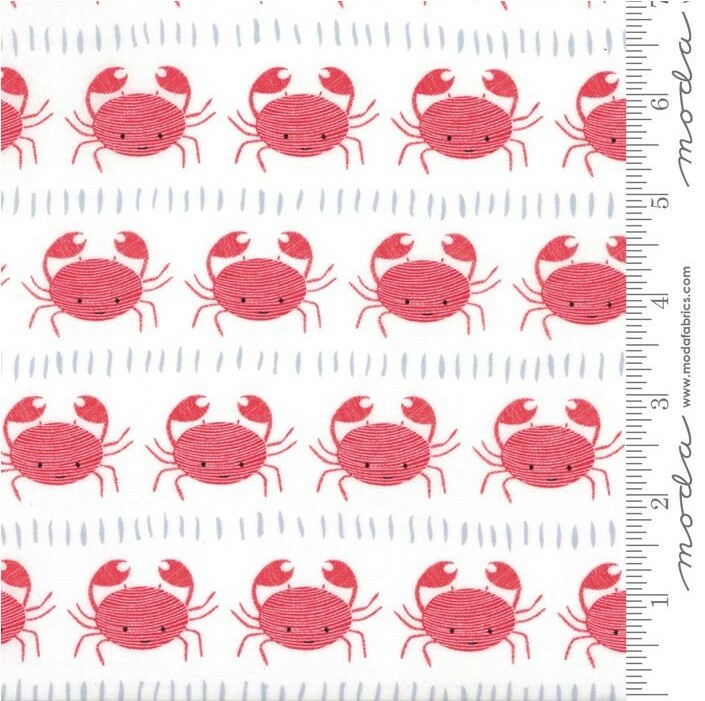 These happy little crabs are marching straight across this print, as if on parade! The Whales print comes in two different blue colors. 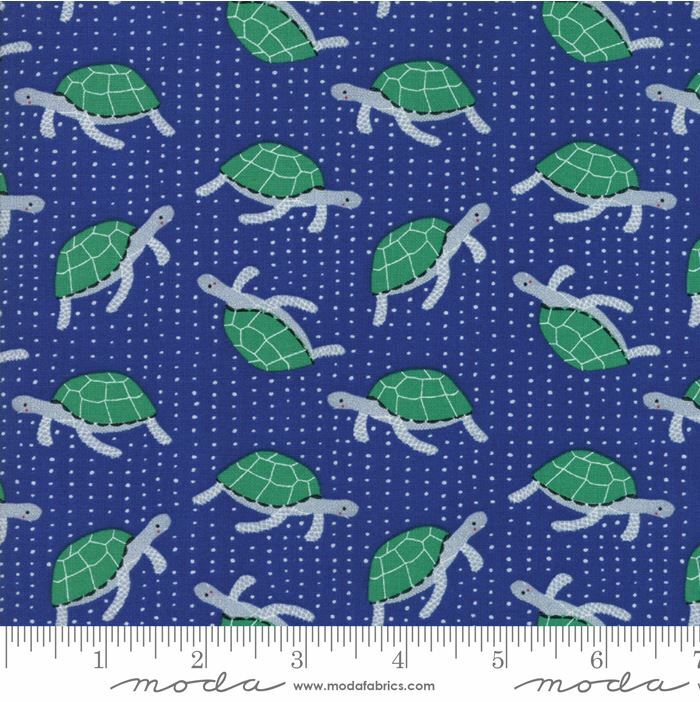 We think this one would work especially well for a baby quilt! And sometimes, the coordinating blenders are just as exciting as the main prints. This is one of those times! This print is called Strings and we have it in three colors. 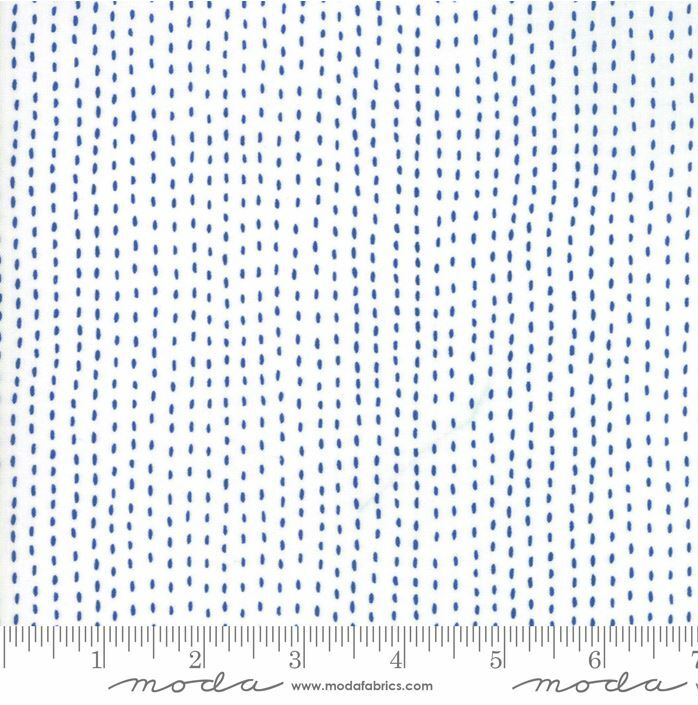 We love the little dashes that look like Sashiko stitches! Wouldn't it be cute to embroider over some of them in your quilt? 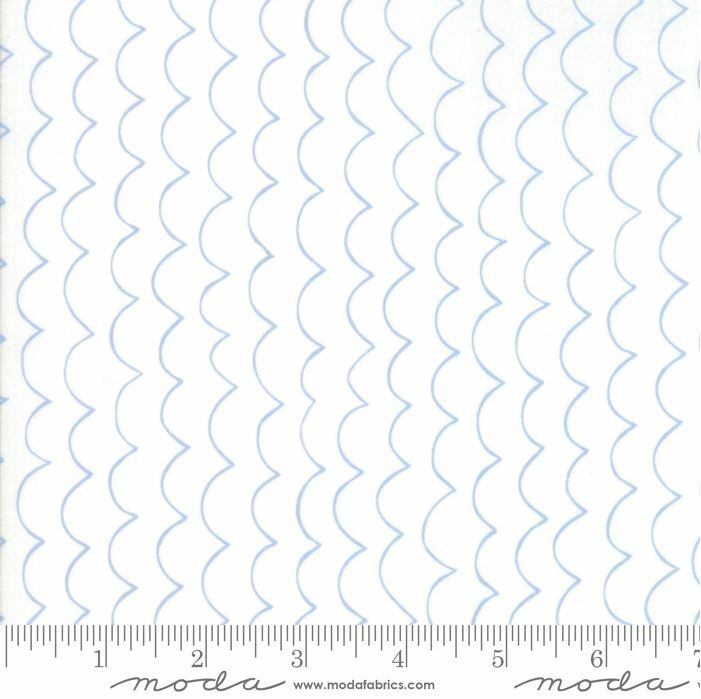 Last but not least is the final coordinate, the Waves print. We've got it in blue-on-white and white-on-blue, two perfect options to complement the critter prints. How about making a set of pieced placemats in these fabrics, with the Wave print as the backing? July brings one of our favorite events ever: the release of a new fabric collection from Tula Pink! De La Luna is the first collection that will ship from Free Spirit since the change of ownership and it will ship in early June. This is a highly-anticipated Tula collection and we expect it to sell out within a week of its arrival. That's why we're starting pre-orders NOW. If you know you'll want this collection when it arrives in July, you can place your pre-order now and we will ship your bundle to you as soon as the yardage arrives. We have full collection bundles available for pre-order -- choose fat quarters, half yard, or full yard bundles. When you place a preorder, you will enter your billing information at checkout but you will not be charged until the order ships. Please note that Apple Pay or Amazon Checkout do not support a "pay later" option, so if you choose either of those payment methods, you will be charged when you place your order. What better way to announce the arrival of the brand new Night Hike fabric collection designed by Heather Givans for Windham Fabrics? Heather designed this outdoorsy fabric collection using the colors of the Aurora Borealis as her inspiration. We used her Constellations in Teal print to make the above graphic. We'd like to think that even in a Galaxy Far Far Away, they have gorgeous sky phenomena like our galaxy's Aurora Borealis! It looks like a hiking or camping map! The warm colorway is called Sand, while the cool is called Gravel. 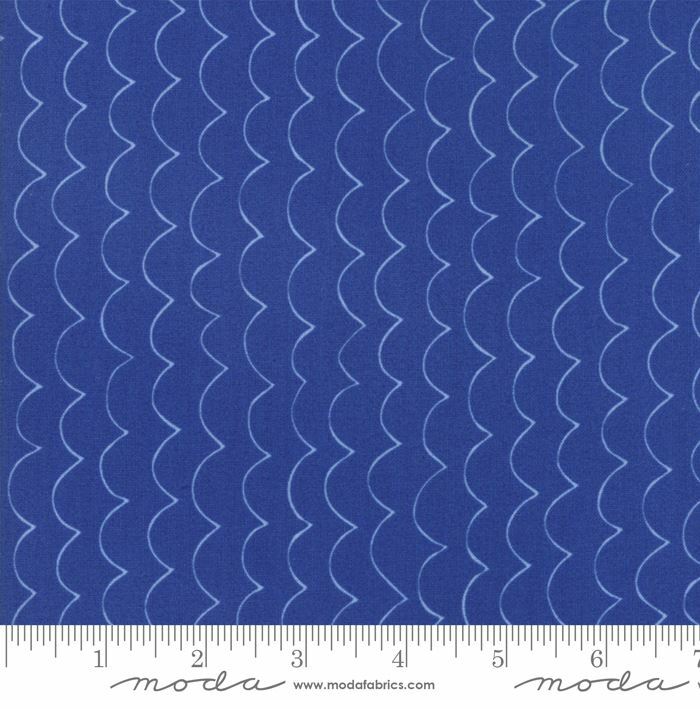 This print is a large scale design that makes it a wonderful choice for a backing fabric. The Fireflies print comes in three great colors. Don't you love the way Heather has depicted the fireflies' light?! 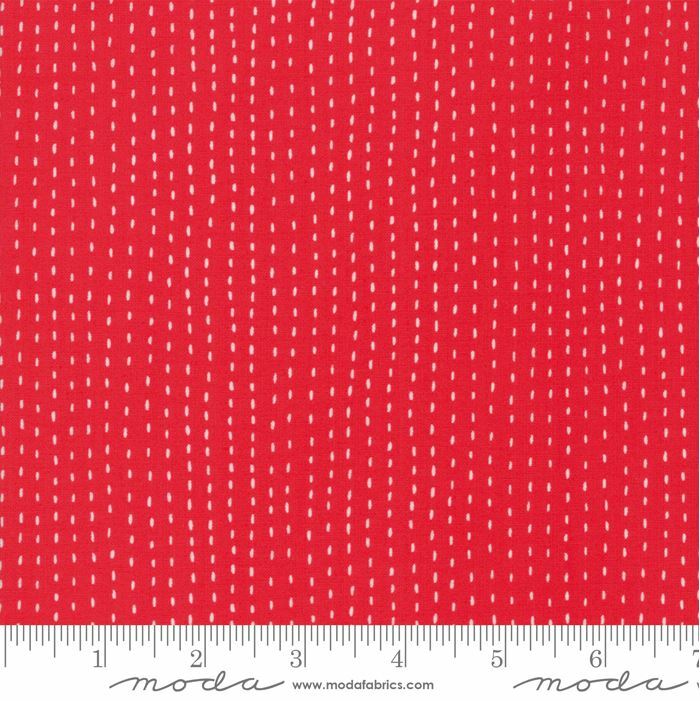 Each firefly measures less than 1", making this fabric a great candidate for fussy cutting. Do you see how the trees aren't all exactly the same? We loved that little detail! It depicts a landscape and is similar to the hiking map fabric. We love that there's one print in the group that has a more romantic feeling! The entire 25-print collection is in stock and ready to ship now. We've also put together several bundle options for you in case you want to get a bit of many prints! As always, our bundles are available in fat quarter, half yard, or full yards. What will you make with Night Hike? 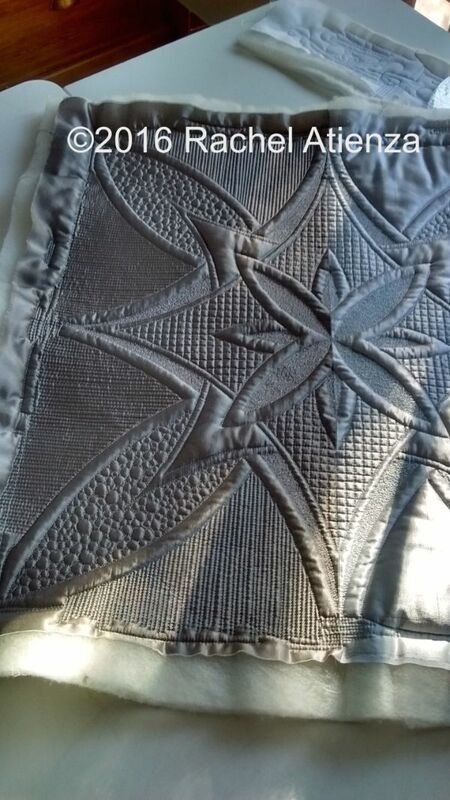 Paula Nadelstern is coming to Gotham Quilts! 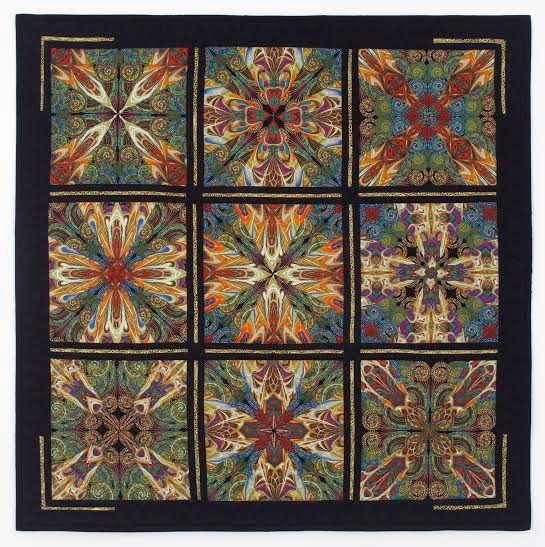 Join world-famous quilter Paula Nadelstern for her signature workshop! Explore the possibilities offered by complex textiles while demystifying the nature of symmetry. You will learn to draft perfect angles and sew dissimilar angles together. This class is extremely satisfying and engaging, culminating in the creation of a unique and fabulous kaleidoscope block. Often effects more wonderful than you imagine occur, making you both the one who makes the magic and the one who is surprised.